During the month of July, Pacific Historic Parks and the National Park Service partnered to host two educational programs at War in the Pacific National Historical Park on the island of Guam. 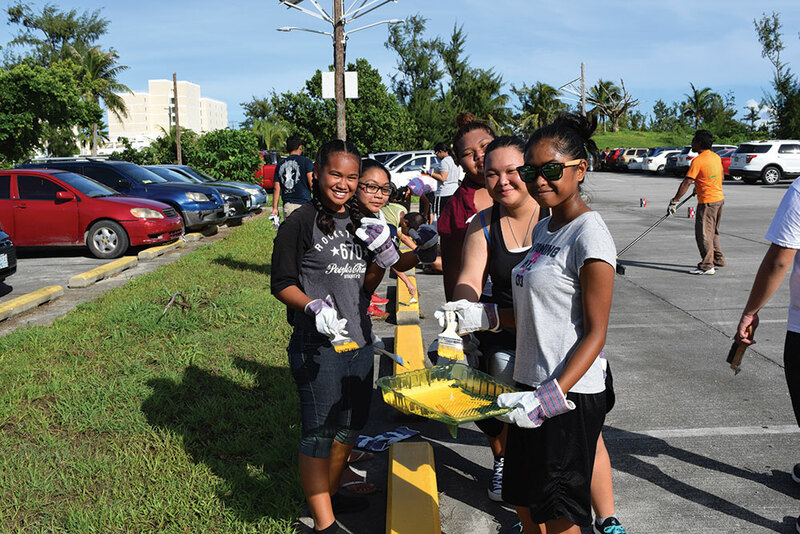 The summer programs were held at Asan Beach, a former World War II battlefield, and engaged youth from ages 9-17 years old on issues of climate change, coral reef and watershed protection, and water safety. The first program was called the Preservation Ranger Academy and took place from July 5-15, 2016. The academy offered two weeks of leadership training to 17 high school students. The academy was designed to train young leaders to serve as ambassadors of the park and youth leaders. 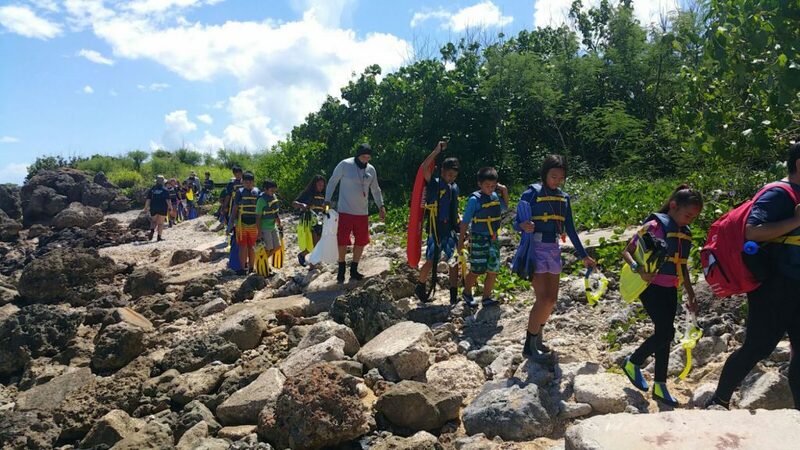 The Preservation Rangers snorkeled, hiked, and engaged in discussions about stewardship, coral bleaching, and climate change. 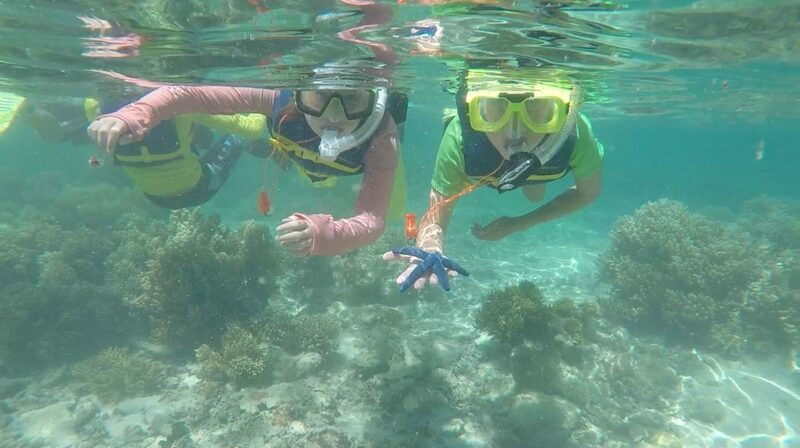 They also worked alongside park biologists to be trained in various scientific methods of monitoring the reef’s health. They received comprehensive water safety training and First Aid, CPR and AED certification. The second program was called the Reef Ranger Summer Camp and took place from July 18-29, 2016. 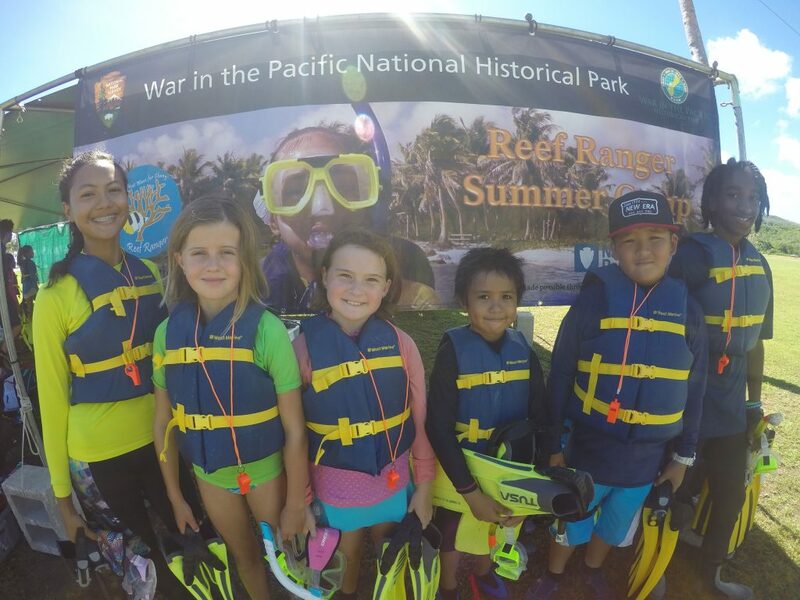 A total of 41 elementary and middle school students enjoyed a week of snorkeling, hiking, and engaging in outdoor experiments at War in the Pacific National Historical Park. 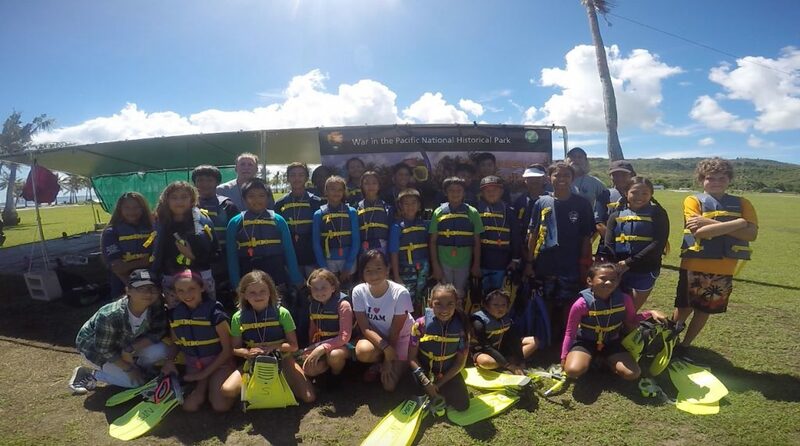 Kids learned about Guam’s fascinating marine and land habitats from park rangers, field trip guides, and special guest speakers. 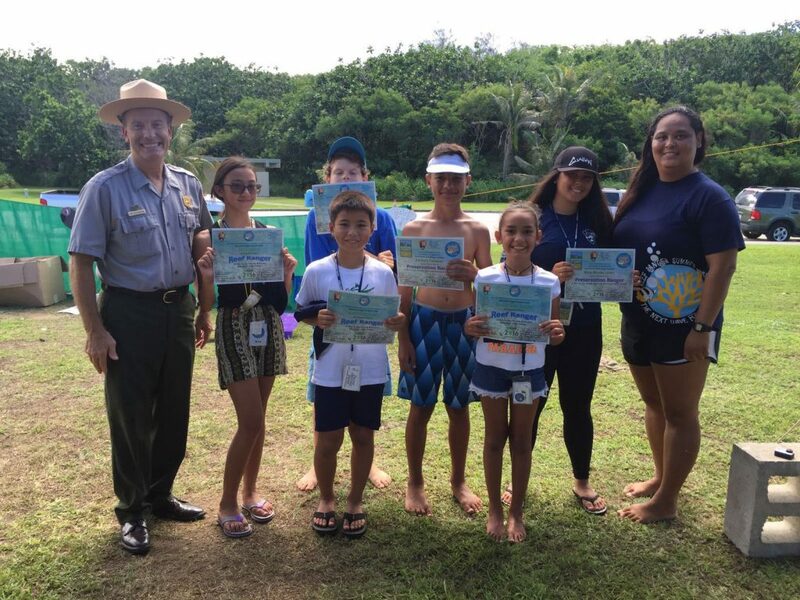 The older Preservation Rangers served as mentors and encouraged the younger Reef Ranger Campers to enjoy the park’s resources, and promoted actions that help protect Guam’s land and waters. On July 8-9 & 15-16, 49 students between the ages of 8-17 participated in the park’s first ever Soldier Skills summer program. 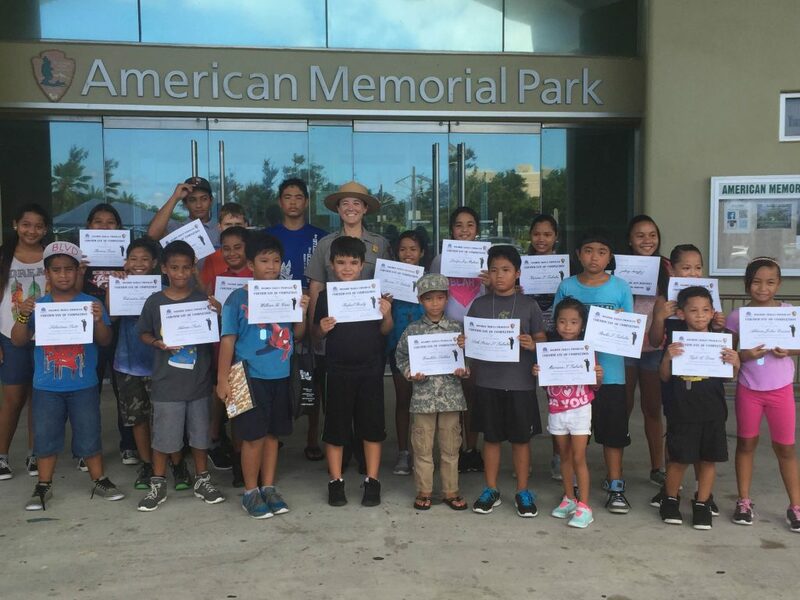 Rangers along with the park’s first Teacher Ranger Teacher Jovannalyn Mafnas engaged Saipan youth in learning about the mission of the park through fun activities over the two-day camp. Highlights included a guided tour of the museum and memorials, learning traditional and modern navigation, survival and field solider skills. 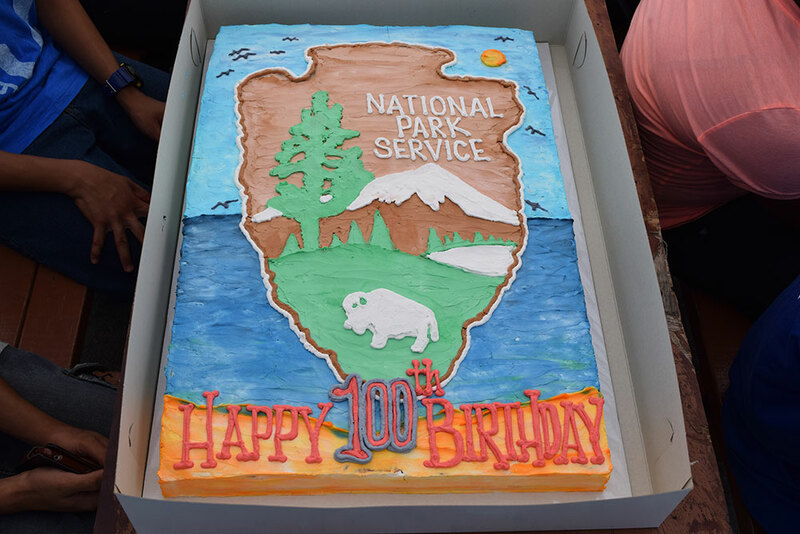 Volunteers pitched in for a Day of Service, as well as celebrated the 100th birthday of the National Park Service, at American Memorial Park in Saipan on Aug. 27. 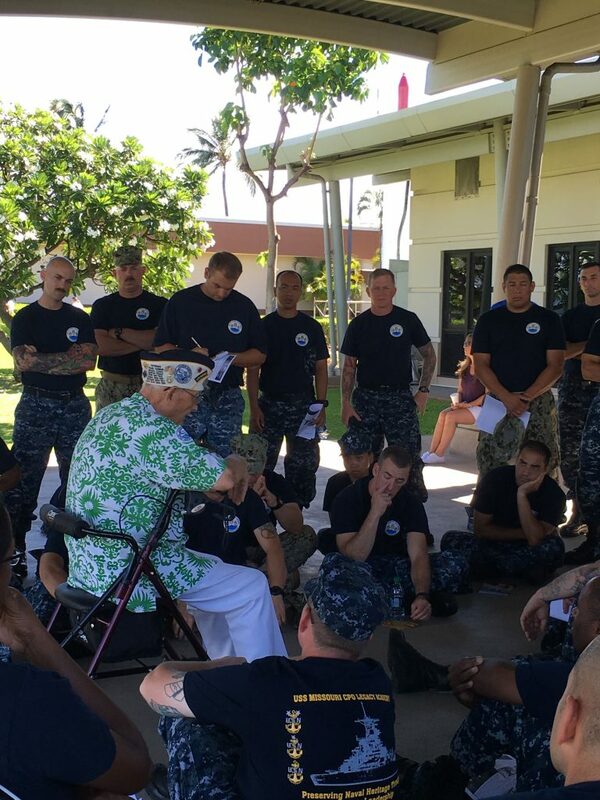 Pearl Harbor Survivor Sterling Cale speaks with the USS Missouri Chief Petty Officer Legacy Academy. 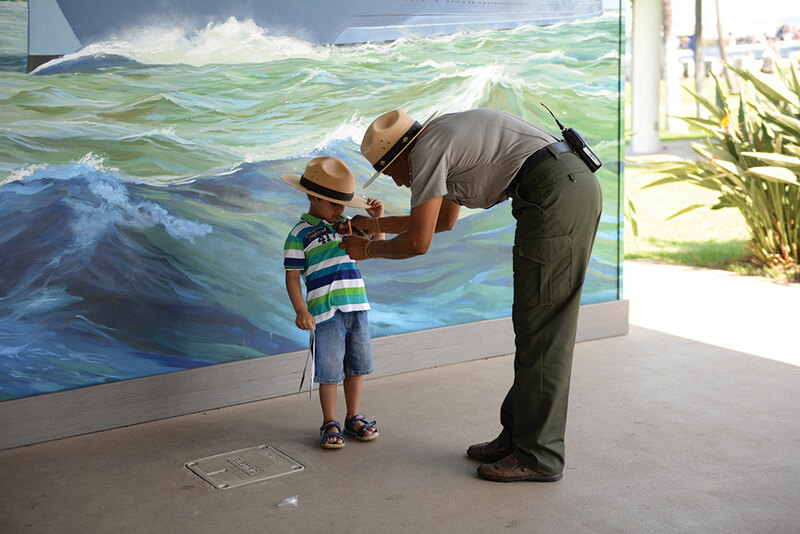 Naomi Drye pins a Junior Ranger badge on a boy during the National Park Service centennial celebration at World War II Valor in the Pacific National Monument on Aug. 25.